Remember to state "ANCIENT," "MODERN," "DRESS," or "WEATHERED"
include a 2-3" hem with nice 2" -2 1/4" pleats. Buckle & strap closure on each side. 10 oz. tartan or Dalgleish dress tartan of your choice. Check our "Dress Tartan Viewer" for Dalgleish options. Please allow 6-9 weeks for kilt orders depending on season. Custom Made Beginner Kilts are not available at this time. Light weight 65% polyester/35% viscose tartan kilts with black waistband and velcro closure. Click on link to view other tartans available. Our Kilt maker requires your HEIGHT & WEIGHT. This is not needed for Beginner Kilts. See below for Beginner Kilt measurements. Measure your WAIST. 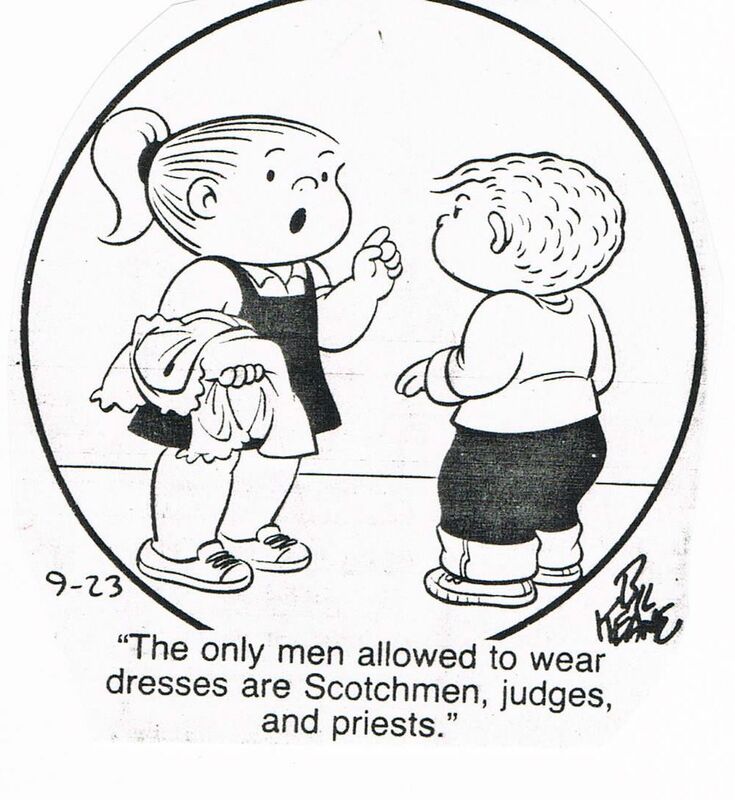 Don't be shocked as you wear your kilt higher than your pants therefore the measurement is usually more. For example, 36 waist for pants = 37-38 for a kilt. Make this a tight measurement. To measure the SEAT (hip), take your wallet or any other articles out of your pockets. Measure around the widest part. Put your hand in behind the tape. This will give you a larger measure than what your actual seat is, but this is what we need. Measure from the top of your waist to the top of your hip bone (A). This will help us determine if a person is "long waisted" and how much of a rise is needed. Our kilt maker will then add on what is called a rise. The rise is the part of the kilt which is above the buckles. This can be 1.5 to 3 inches depending if the kilt is for a lady or regimental. Then measure from the top of the hip bone to the knee (B). The total or finished length (top of waist to knee) should equal both measurements. Measure your WAIST. This is usually about an inch above the navel. Make this a tight measurement. Measure HIPS as described above. This is the largest area. Make this a loose measurement. A 2-3" hem will be added in addition to this measurement.